To the edifice of Mathematical Chemistry, a new brick is being added by the present book, edited by S. C. Basak, G. Restrepo and J. L. Villaveces. During the last three decades, Dr. Subhash C. Basak’s (the “apostle to USA and India”) persistent efforts have led to the organization of eleven international symposia centered on Mathematical Chemistry and held either at the University of Minnesota Duluth- Natural Resources Research Institute, or at various locations in India. The second editor, Dr. Guillermo Restrepo, is the “apostle to Latin America”, who, in collaboration with Drs. Basak and Villaveces, organized two recent mathematical chemistry symposia in Colombia; he co-authored two chapters in this book: one in Vol. 2 deals with similarity in molecular structure reflected in similarity of chemical reactions and then in similarity of reaction networks; the other chapter in the present Vol. 1 presents a comparison between statistical methods for analyzing physical and chemical features determining how chemical elements combine into substances. An important feature is the fact that from the 27 chapters of the two volumes, seven have been written by the scientists who initiated the research in the respective field. Thus, Professors A. Kerber and C. Rücker with several collaborators describe their latest version of the computer program MOLGEN 5.0 for molecular structure generation. Dr. A. Nandy reviews the beginnings and present status of graphical representations for DNA, RNA, and protein sequences – the very essence of life on our planet. Professor D. Bonchev’s overall topological representation of molecular structure is the topic of an interesting chapter; the newly developed Bourgas indices, which are real numbers, offer a promise as discriminating molecular descriptors for measuring graph complexity and centrality. Molecular topology is also the topic of a chapter by J. Galvez and his collaborators, which provides a pedagogical approach to the development and use of topological indices for drug design. N. Trinajstić with two coworkers present for acyclic graphs the matrices and derived topological indices that result from summing or multiplying local graph invariants (vertices or edges). P. Willett and two coworkers review similarity-based virtual screening of molecules for bioactivity based on weighted two-dimensional fingerprint fragments. Last but not least, S. C. Basak’s chapters discuss (1) the factors that have led to the rapid development of discrete mathematical applications in chemistry during the last few decades; one of these factors has been the development of hardware and software allowing the exploration of large chemical databases for understanding the structural basis of physical and biochemical properties, enabling computer-aided drug design to become an indispensable tool of the pharmaceutical industry; and (2) the molecular descriptors (especially topological indices) as tools for hierarchical QSAR modeling (topostructural, topochemical, geometrical/chiral, and 3Ddescrriptors); in turn, quantum chemical computational methods – semiempirical followed by abinitio – have their hierarchy, first ignoring and then taking into account the solvent. Among topics dealing with biomedical applications, mention should be made of chapters describing: (i) computational methods (molecular docking and dynamics) for the molecular design of substances that inhibit sensing systems; (ii) pharmacophore models for repellants and biocides against insects or protozoa; (iii) factors influencing protein folding and how to control them; (iv) for the more restricted class of proteins that are metalloenzymes, critical evaluations of quantumchemical methods for explaining the catalytic activity; (v) computer-aided drug design for antitubercular compounds based on structural descriptors; (vi) for an analogous purpose, various QSAR models exemplified by five toxicological studies using the program CAESAR; (vii) QSAR modeling of toxicity for marine algae; (viii) drug-likeness evaluated by comparison with known drug databases and databases for bioactive molecules that are not drugs. Finally, the reader will also find interesting chapters on (i) topological ranking of fullerene stability; (ii) molecular descriptors with high discriminating ability, i. e. low degeneracy; (iii) the periodicity of di-, tri-, and tetra-atomic molecules; (iv) molecular taxonomy, extended to various types of elementary particles, not only atoms; (v) statistical methodology to be employed in QSAR/QSPR when the number of properties exceeds the number of structures;(vi) so-called comparability graphs for analyzing molecular graphs and network data; (vii) using point set topology for chemical and biochemical; applications; (viii) employing conceptual density functional theory for a deeper understanding of chemical reactivity. One should congratulate the editors for having persuaded 68 scientists from 15 countries (Austria, China, Colombia, Croatia, Denmark, Germany, India, Iran, Italy, Malaysia, Slovenia, Spain, Turkey, United Kingdom, USA) to write the 27 chapters of these two volumes, and to coordinate their contributions. Students, professors, and anyone interested in chemical or biomedical research based on discrete applied mathematics will profit from reading this book. The Universe is a grand book which cannot be read until one first learns to comprehend the language and become familiar with the characters in which it is composed. It is written in the language of mathematics. I dive down into the depth of the ocean of forms, hoping to gain the perfect pearl of the formless. The perfection of chemistry might be secured and hastened by the training of the minds of chemists in the mathematical spirit [...]. Besides that mathematical study is the necessary foundation of all positive science, it has a special use in chemistry in disciplining the mind to a wise severity in the conduct of analysis: and daily observation shows the evil effects of its absence. In this eBook we introduce our readers to one of the most comprehensive and thematically diverse treatise on the emerging discipline of mathematical chemistry, or, more accurately, discrete mathematical chemistry. Although mathematical representation and characterization of chemical objects were known for a long time, the incursion of discrete mathematics into chemistry had a tremendous growth spurt in the second half of the twentieth century and the trend is continuing even today in an unabated manner. We think such a growth has been fueled and sustained primarily by two factors: i) Novel applications of discrete mathematics to chemical and biological systems, and ii) Availability of high speed computers and associated software whereby hypothesis driven as well as discovery oriented research can be carried out within a reasonable time frame. This trend of research has led not only to the development of many novel concepts, but also to numerous useful applications to scientifically, socially and economically important areas such as drug discovery, protection of human as well as ecological health, chemoinformatics, bioinformatics, toxicoinformatics, and computational biology, to name just a few. This book is a clear depiction of those concepts and applications. Another perspective of Mathematical Chemistry is the very mathematics-chemistry relationship, which also shows its growing community. If we look at journals devoted exclusively to the link between mathematics and particular natural sciences, then the Journal of Mathematical Physics has to be mentioned first, for it appeared for the first time in 1960; at that time, both chemistry and biology lagged behind physics. Fourteen years later, the Journal of Mathematical Biology was launched and one year later the first journal for mathematical chemistry showed up: MATCH Communications in Mathematical and in Computer Chemistry. Later, in 1987, the Journal of Mathematical Chemistry was initiated and just recently (2010) the Iranian Journal of Mathematical Chemistry published its first issue. The reasons for such a delay, in contrast with physics, have recently been a matter of discussion among philosophers of science, particularly of chemistry, where HYLE - International Journal for Philosophy of Chemistry has played a central role. The fact of being the last of the three sciences in launching a scientific journal devoted to its relationship with mathematics contrasts with the three journals specifically devoted to such a link. This suggests the growth of the community, where a single journal is not able to cope with the amount of novel results in the area of mathematical chemistry. A seminal piece of research in modern mathematical chemistry was the path breaking work of Harry Wiener (1947), which stimulated a wealth of investigations on applications of discrete mathematics in chemistry, e.g., graph theory, matrix theory, and information theory. In the early 1980s, Professors R. Bruce King and Dennis H. Rouvray accelerated this process by the initiation of the International Conference on Mathematical Chemistry series at the University of Georgia at Athens, Georgia, USA. The conferences under the leadership of King and Rouvray were organized in North America and Europe during 1983-2005 and the conference proceedings attest to the high scientific standard of discourse in those events, where not only the mathematical theories aforementioned found a fertile land but also topology and group theory, to name but a few more. These conferences led to numerous discussions on the organization of the community of people delving into the wonders of the chemomathematical relationship. Hence, the International Society of Mathematical Chemistry (ISMC) was founded in 1987 with Professor Milan Randić being its President till 2003; thereafter Subhash C. Basak took over the presidency of ISMC from Professor Randić. An important meeting point of members of the community is the MATH/CHEM/COMP symposium, traditionally organized in Dubrovnik (Croatia) for more than 25 years. This yearly series seeks to foster the exchange of ideas among chemists, mathematicians, and computer scientists; there is no doubt of the importance this meeting has for the mathematical chemistry community, which owes much to Professor Ante Graovac, who recently passed away (2012), and who was always behind the organization of the MATH/CHEM/COMP meetings. As part of the growing process, mathematical chemists looked for another type of organization, this time an academy, namely the International Academy of Mathematical Chemistry1 (IAMC), founded in 2005, which also organizes a yearly symposium. The organizational seed of the Balkans soon crossed the oceans and went to India and USA. In the 1990s, Subhash C. Basak and Dilip K. Sinha initiated the Indo-US Workshop on Mathematical Chemistry series2, whose aim was to bring both senior scientists and young scholars to a single and homely forum to discuss the advancing frontiers of mathematical chemistry and allied sciences. In 2007, with the objective of bringing the young scholars in close contact with the internationally renowned experts for exclusive mentorship and training, the Indo-US Lecture Series on Discrete Mathematical Chemistry3 was established. More recently, this enthusiasm for mathematical chemistry infected South America and led to the creation of the Mathematical Chemistry Workshop of the Americas,4 involving countries of North and South Americas. At such an astonishing historical moment of a scientific community that has been able to organize, create, and use the needed intellectual fermentation and communication channels to keep growing, this book comes into play. The 27 chapters of the current book are derived from multiple sources: i) Papers presented at the Second Mathematical Chemistry Workshop of the Americas in Bogota, Colombia, in 2011; ii) Papers presented at the First Indo-US Lecture Series on Discrete Mathematical Chemistry in Bangalore, India (2007), and iii) Invited chapters from distinguished researchers in Mathematical Chemistry and related areas. These chapters deal both with the development and history of the basic concepts as well as their applications. They also show the fruitful relationship between different branches of mathematics and chemistry and related disciplines. The branches of mathematics considered are graph, information and category theories, as well as statistics, fuzzy sets, network analysis, classification techniques, ordering, topology, neural networks and mathematical aspects of molecular dynamics and quantum chemistry. Due to the large number and scientific diversity of the chapters in the current book, an attempt to summarize the aforementioned branches of mathematics interacting with chemistry goes beyond our capabilities in the limited space of this preface. What we have done, instead, is to use mathematics to guide the reader through the multiple paths this book offers, which in the end constitutes a book of several (finite) sub-books. In this sense, this book, besides containing the current status of Mathematical Chemistry, is also a Rayuela4, a combinatorial book like the one by the famous writer Julio Cortazar. We show in the following figure a map, based on order theory, to explore the book depending on the particular interests of our readers. Each node in the graph contains two kinds of information: a set of mathematical branches (italics) and a set of authors; for the sake of simplicity we have labeled each chapter by the surname of its corresponding author. Once a node is selected, all those nodes found in a downward path give information about the node selected, e.g. if we are interested in “Information theory”, then the respective node shows that Bonchev’s chapter as well as Basak(1)’s, and Dehmer’s chapters are related to that mathematical branch. Likewise, if we are interested in “Topology”, then the authors to read are Ori, Stadler, and Bernal; the latter two being also related to “Category theory”. As the book also shows the result of the incursion of the above mentioned branches of mathematics with chemistry and other disciplines, then we drew another diagram depicting how authors’ chapters are related to several areas of knowledge. For example, we see that the chapters relating mathematics with RNA are those by Nandy, Basak(1), and Stadler. The areas chemical and related disciplines considered by the authors are: Drug discovery processes, molecular structure characterizations, QSAR/QSPR models related studies to tackle several diseases, models for toxicology, RNA studies, periodic tables, algorithms for exploring molecular libraries, systems biology, proteomics, DNA characterizations, studies of small molecules, biological evolution, chemical reactivity, protein folding studies, fullerenes’ and metalloenzymes characterizations. Both diagrams can also be read in the upward direction, where the information extracted is on the topics tackled by the authors. Hence, if we take, e.g. Viswanadhan, we see that his chapter is on Drug discovery and Molecular structure, combined with Graph theory. Which kinds of readers do we expect for our book? The book is useful to the uninitiated with some grounding in chemistry, mathematics and biology, e.g., senior undergraduate students; graduate students / postdocs as well as senior researchers who wish to get started as new investigators in the field. To conclude, we would like to take the opportunity of thanking all those who have assisted in any way with the realization of this project. Certainly included here are all the authors who have contributed with their important chapters; Professors Balaban and Kier, leading Mathematical Chemistry figures of our time, who kindly wrote their inspiring forewords for our book; Professor Esperanza Paredes, Dean of the Universidad de Pamplona (Colombia) and Professors René Meziat and Wolfram Baumann, heads of the Departments of Mathematics and Chemistry, respectively, of the Universidad de los Andes (Colombia), who gave us the financial support to have the Second Mathematical Chemistry Workshop of the Americas organized in Colombia, and Wilmer Leal, who formatted the chapters according to Bentham Science Publishers guidelines. Subhash C. Basak, being already involved in the organization of a total thirteen events in the three mathematical chemistry workshop series mentioned above, has been immensely helped by numerous colleagues, friends, and collaborators (called members of his virtual team) the long list of whom cannot be mentioned here for brevity. Help extended to Basak by Dilip K. Sinha (former Vice-Chancellor of Visva Bharati University, Santiniketan, India), Michael J. Lalich (Former director, University of Minnesota Duluth- Natural Resources Research Institute, UMD-NRRI, USA), Ashok Kolaskar (former Vice Chancellor, University of Pune, India); Brian Gute, Denise Mills, Gerald Niemi, Donald Harriss, Vincent Magnuson, Gregory Grunwald from UMD/ NRRI; Kanika Basak, Sarat Basak, Moumita Basak, Nabamita Basak; Indira Ghosh, Uma Vuruputuri, Manish Bagchi, Ramanathan Natarajan, R. Balakrishnan, S. Parthasarathy, Subhendu Gupta, Ashesh Nandy, Vellarkad Viswanadhan, Chandan Raychaudhury, Marimuthu Ramalingam, P. Venuvanalingam, Tarun Jha, Mohanraj Subramanian, M. Srinivasan, from India; Gilman Veith, Milan Randić, Krishnan Balasubramanian, Moiz Mumtaz, Apurba Bhattacharjee, Kevin Geiss, Frank Witzmann, Chandrika Moudgal, George Vacek, from USA; Kannan Krishnan, Shahul Nilar (Canada); Marjan Vračko, Marjana Novič from Slovenia; Vladimir Palyulin, Nikolay Zefirov from Russia; Rainer Brüggemann (Germany) and Haruo Hosoya (Japan), are gratefully acknowledged. We are thankful to the staff of Bentham Science Publishers, Ms. Asma Ahmed in particular, for the untiring efforts in all aspects of the publication of this book. 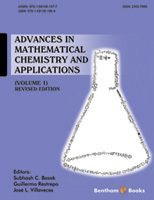 We sincerely hope that the two volumes of the eBook Advances in Mathematical Chemistry will not only apprise its readers of the advancing frontiers of mathematical chemistry along with its wide variety of applications, but also will stimulate further research in the field both by young scholars and senior researchers.